“I contacted Ruth as I had started riding with my local cycling club and decided that I wanted to get stronger on my bike with the aim of completing long hilly sportives without feeling I needed to ride with someone else to get me round. I have always ridden bikes but mainly commuting and cross country mountain-biking. When Ruth had a vacancy I duly went along (at the time with a broken wrist) and after listening and understanding my aims Ruth put together a plan which I knew I could stick to. Having someone else write the plan and sending in my workout files made sure that I did the sessions as to begin with it felt like sending in my “homework”. After a couple of months, and out of nowhere really, I was asked if I wanted to join a new local women’s cycling team to road race! Ruth took this complete change in direction in her stride, immediately rising the challenge of how to turn a club rider into a road racer. With Ruth’s encouragement and belief that I would be OK in a road race, I threw myself into the training and Ruth taught me what it means to train. Previously when I did a turbo session I thought I was working hard, but with Ruth’s guidance I learnt how to really work hard and recognise when to keep pushing through the burning legs and lungs. In the couple of seasons that I competed I raced in Tour Series town centre criteriums, finished in the bunch in the womens inaugural Tour De Yorkshire and achieved my 2nd cat license. All of which I had never dreamed I would be capable of doing. The focus then shifted to Cyclocross as that is the sport that I really love. 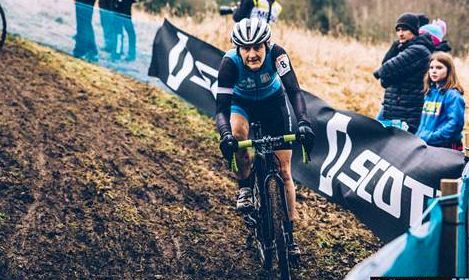 I progressed from local league races to taking part in the National Trophy, the World Masters in Belgium, and becoming National Age-Group Champion and twice coming third in the Veteran National Trophy Series. “I wanted to write to say I appreciate your willingness to speak to what is realistic in training rather than fantasies about what is achievable. Its relieving to hear and I can trust that. I feel comfortable and supported in my goals (such as they are) knowing you are focussed on responding to how I actually am and to what is realistic for me. Thank you. Thats what I want and value. I feel lucky to have you take me on. “Ten months ago I bought my first road bike and nine months ago I entered the 2016 Etape du Tour with the idea that it would be a tough goal to aim for. Last weekend I completed the etape. Not only did I really enjoy the event as I was well prepared but I also got a good time - in the top third of all women, and in the top half of all female and male competitors. I found Ruth after a quick Google search and met with her in early 2016. I had lots of questions and I knew that I needed some kind of training plan that would take me from zero to semi-hero. I hadn't worked with a sports coach before and I had never really had a training plan. Ruth helped me with a training plan and advice on bike, nutrition and event tactics. As my cycling progressed she gave me advice on clubs and training camps. Having a training plan meant that my time on my bike was valuable - there were no miles for the sake of it. As someone who works long hours this was very important. 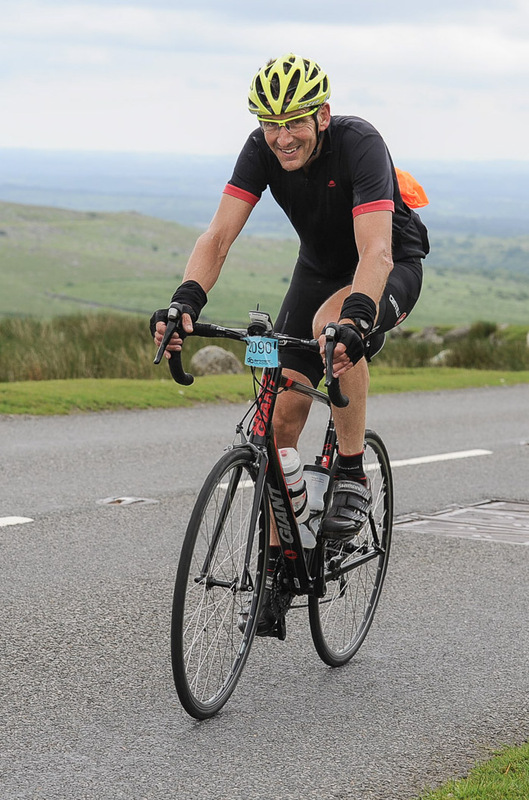 “I approached Ruth earlier this year, looking for some help in my preparation for the Dartmoor Classic ‘Grande’ sportive. I had set myself the target of finishing within the Gold Standard time and felt that without a formal training plan I had little chance of reaching the goal. As a 60 year old who had only reluctantly come to road cycling over the previous couple of years following hip surgery, I had certainly caught the cycling bug, but although putting in quite respectable mileage, my riding had plateaued. Ruth's almost understated website caught my attention as being different and I liked the idea of following a plan specifically produced for me without the expense of a more supported coaching package. Initially I received a very comprehensive questionnaire from Ruth which was used as the basis for a lengthy telephone conference. I had been worried that this might feel a bit remote but it was clear that Ruth had gained a good understanding of where I was with my fitness and had obviously spent some time digesting the information I had been able to give her. It was really easy to talk to Ruth and even at this early stage I learnt much from her about how to achieve my goal. The plan arrived together with a detailed summary of our conference and I was amazed at how well Ruth understood my background and goal. The plan itself was comprehensive with plenty of information that helped me understand what I needed to do from establishing my heart rate zones through to completing the variety of sessions. Although the Bronze level package that I chose is essentially self supported I was encouraged to keep in touch occasionally with an email progress report. “Me 18 months ago: 51 years of age, 13st 10 lb and bored. Having had a 3 year break from cycling with no real training at all I wondered......... could I ever regain my fitness? I’m now 11st 11lb. I’ve just finished a very tough 3-day stage race, “The Tour of The Abberleys”. I’ve competed in the 2014 LVRC National Championships. 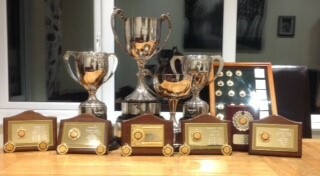 I’ve also finished several other LVRC road races and I’m racing actively, not just “sitting in”. To top off these achievements I’ve just finished a 10-mile time trial with a personal best time since 2006 of 22:28. I believe there’s still more to come! I remember setting goals with Ruth when we first met and to be honest in my wildest dreams I would not have thought the above would have been possible. I genuinely believe that I could not have reached this level of fitness without Ruth’s guidance, patience (and she’s needed that), expertise and what I have found to be a very genuine interest and desire to get my training plans just right for me. Every training plan has been formed and tailored to meet my specific cycling goals. There are several examples I could give when Ruth has demonstrated to me her utmost integrity, honesty, competence and expert knowledge to the highest level. She also has a very hard working ethic. My plans and feedback have never been late or lacking in detail or analysis. Ruth has scrutinised my training data and sent me accurate, individualised feedback and advice. Ruth has educated and guided me to my own conclusions as well as used a “this is how it is approach” (I did ask her for direct communication!). “In summary Ruth’s training plan worked, I achieved all my objectives and more! I would definitely engage her again and recommend her to other cyclists. I decided to try a training plan to see if it worked, I have read a lot about what you should do when training but would never have followed a plan I put together. My objectives were to improve my timed hill climbs, Alpe d’Huez and Les Deux Alpes & beat my sportive times. Ruth was recommended to me by a friend, so once I decided I was going to get a 3 month plan, I e-mailed her, unfortunately I had to wait a year to become one of her clients (there is a waiting list) however this did show that she would not take on too many clients to the detriment of others. I chose Ruth’s bronze service, a 3 month plan. We had an initial phone conversation (we couldn’t meet up as I live in France) for Ruth to understand more about my objectives, cycling, available time and cycling likes / dislikes. I found her very easy to talk to and it was a bonus that she had cycled in the area where I live. From this conversation Ruth sent me a power based plan with supplementary information, not too much information, just right for me. I followed the plan religiously, I really did want to see if it worked and improve! I enjoyed following the plan, the varied sessions and most of all seeing improvement, I am fortunate having a power meter but I could see improvement as I went further in my intervals! A couple of my race dates changed so I asked Ruth if she would flex my plan to suit which she kindly did. I choose to extend my plan to take in my whole season as I was so pleased with the results of the first one. Once again it worked and I saw continuous improvement. 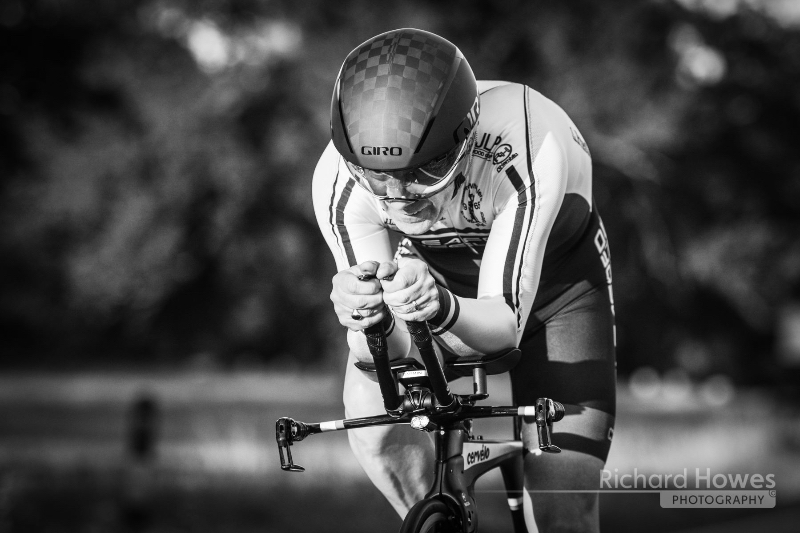 “I started time trialling in 2011 at a time when I had a little boy, a baby on the way and also a demanding job. I had very little time to train except on my commute so I decided to find myself a coach. After the initial telephone conversation with Ruth talking about my goals and weaknesses I realised I was talking to the right person. My first training plan from Ruth was extremely impressive and since then it always arrives bang on time every month. I always look forward to Ruth's feedback even though sometimes she tells me to pull my socks up. She is always quick to answer any questions about my training. Whenever I talk to Ruth she has endless enthusiasm and support for me. But more importantly she listens. My first race was in May and in such a short time following Ruth's training program I was amazed to finish 5th in an open 10-mile TT. As the season went on I got stronger and faster, soon achieving my first win! I was by now completing almost all my races in the top 5. I had a fantastic first season and I believe that the reason I got to this level so quickly is down to Ruth's coaching. “I was the wrong side of 40, new to cycling and the veteran of one club time trial when I “met” Ruth on an internet forum. Her helpful approach led to me taking her on as my coach a few weeks later with a 25 pb of 1:08:10 and an ambitious target to get 10% quicker over the next 12 months. Ruth called this target “a big ask” but diligently set about preparing me training plans to try and make it happen. Steady progress followed, and 12 months later I found myself going 17% quicker than my benchmark and on the podium alongside Ruth and Julia Shaw at Blenheim. I never dreamed of the national honours that would follow in the next two years – 4 national team titles, a team comp record, 3 age group titles, an individual silver in the National 50 and the best of all - a championship title in the National 100. I had to pinch myself when reading the headline “Hutchinson and Slack astound” in Cycling Weekly. “After an initial telephone conversation with Ruth, I realised I was talking to the right person. I signed up for Ruth's Bronze Service, and following completion of the questionnaire and a one to one meeting, I took delivery of an extremely impressive package of information. The plan was easy to understand and follow, and was accompanied by very clear and concise explanations of each of the training sessions, eating and drinking on and off the bike, how to use a Heart Rate Monitor and use training zones, so that I not only understood what I had to do, but understood why.